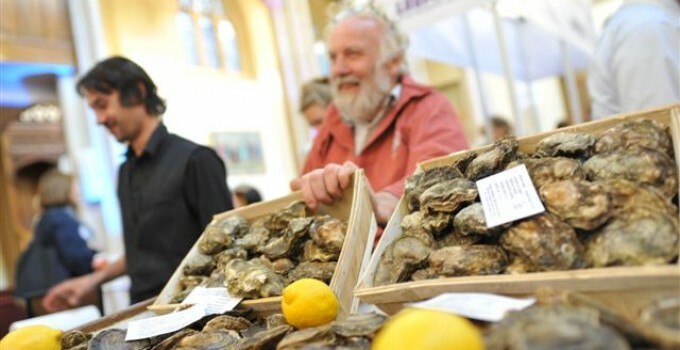 The recent Slow Food Anglia Seafood festival that was held in Colchester highlighted the need for the native Colchester Oyster to obtain Presidia status in the UK, the oyster currently has no legal or environmental protection and is in possible danger of eventually disappearing altogether. 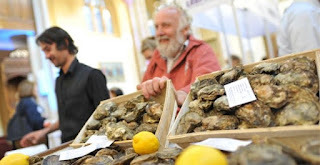 Slow Food Anglia as part of its remit of working with small food and drink producers to promote them and their products has the backing of Slow Food International as well as Slow Food England in obtaining Presidia status for the Colchester Oyster. At the moment there are only two other recognised Presidia foods in England, Artisan Somerset Cheddar and Three counties Perry from Herefordshire, so we at Slow Food Anglia are now actively working with Richard Haward of Hawards oysters to obtain Presidia status for the Native Colchester oyster in late 2015 or early 2016. Richard Hawards Oyster company has been in existence for several centuries with Richard a seventh generation oysterman and his son Tom now also working in the business which is based in Colchester but also now has a permanent stand in the world famous Borough Market in south London. They dredge oysters from the River Blackwater which are then laid on their own oyster beds to fatten and strengthen and which gives them their unique superb flavour. Oysters were first written about as discovered and eaten by the Romans over two thousand years ago in the Colchester area but most probably had been gathered and eaten for millennium before then. Oyster later on became a staple food for the poor and were often the only protein available before becoming highly prized and expensive food in the nineteenth century but then later in that century the oysters were hit by disease and this badly affected the numbers in the area. The Colchester Oyster is more fragile than the Pacific oysters and, therefore, susceptible to changes in the surrounding environment. The oysters were greatly affected by the Bonamia parasite during 1982 and stock numbers are gradually increasing. Stocks have suffered from periodic depletion and the possible pesticide run-off from farmland is seen as a contributing factor. Oystermen believe that global warming and the rising temperatures of the creek beds may be the greatest threat yet. In 2003, the oysters were threatened by the necessary, yet controversial, work undertaken by the Environment Agency to restore nearby marshlands. Slow Food Anglia are working with fishing communities on the East Anglian coast, in Norfolk they work with fishermen in Wells next the Sea who fish for Cromer crabs and other shellfish on that part of the North sea coast, and in Kings Lynn we are starting to contact companies who farm brown shrimp in the wash.
East Anglia has a long coastline boarding the north sea and we at Slow Food Anglia are currently involved with several projects which concern promoting and preserving fragile fish and shell fish stocks in the north sea, and we are also working with Slow Food Norwich to have that city as part of the Sustainable Fish Cities initiative. 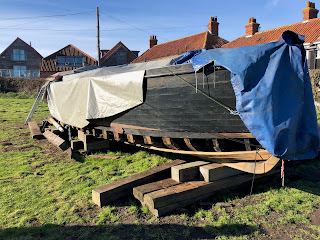 Silvia, the coordinator of Slow Food Anglia will be visiting Mersea Island in Essex in October to see the oyster beds and to meet Richard and Tom Haward of Hawards Oysters she is also meeting Don Quinn who is also a supporter of the Presidia application.